Much ado was made when security experts found Stuxnet wreaking havoc, but it’s looking as though the malware was just a prelude to a much more elaborate attack that’s plaguing the Middle East. 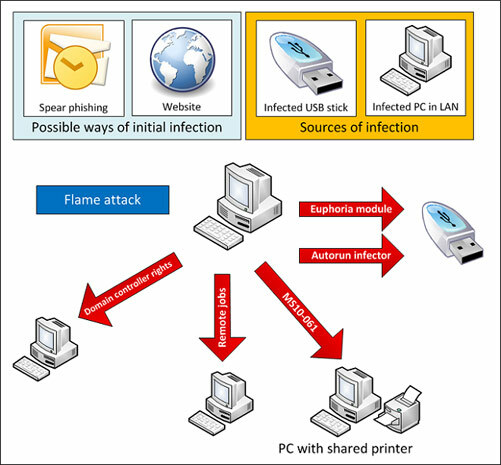 Flame, a backdoor Windows trojan, doesn’t just sniff and steal nearby network traffic info — it uses your computer’s hardware against you. The rogue code nabs phone data over Bluetooth, spreads over USB drives and records conversations from the PC’s microphone. If that isn’t enough to set even the slightly paranoid on edge, it’s also so complex that it has to infect a PC in stages; Flame may have been attacking computers since 2010 without being spotted, and researchers at Kaspersky think it may be a decade before they know just how much damage the code can wreak. No culprit has been pinpointed yet, but a link to the same printer spool vulnerability used by Stuxnet has led researchers to suspect that it may be another instance of a targeted cyberwar attack given that Iran, Syria and a handful of other countries in the region are almost exclusively marked as targets. Even if you live in a ‘safe’ region, we’d keep an eye out for any suspicious activity knowing that even a fully updated Windows 7 PC can be compromised. Flame malware snoops on PCs across the Middle East, makes Stuxnet look small-time originally appeared on Engadget on Mon, 28 May 2012 17:07:00 EDT. Please see our terms for use of feeds. The trickle of departures from RIM may turn into a flood in the coming weeks if recent reports are to be believed, but things aren’t staying at a standstill in the interim. 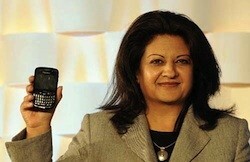 The company’s Chief Legal Officer Karima Bawa has today become the latest top executive to leave the BlackBerry-maker, ending a career with the company that began way back in 2000. That follows last week’s departure of another longtime company vet, global sales head Patrick Spence, although Bawa is said to simply be retiring, not moving to another company. According to RIM, Bawa will also stay on to help with the hiring and training of her replacement. RIM’s Chief Legal Officer is latest exec to leave the company originally appeared on Engadget on Mon, 28 May 2012 16:04:00 EDT. Please see our terms for use of feeds. We previously looked at talk of delays for some versions of the Galaxy S III with a jaundiced eye, as there hadn’t been much official word at the time. That chatter just grew decidedly louder and more formal: Vodafone UK is now telling Pocket-lint that only the 16GB Marble White version will hit the high streets this week, with as many as two to four weeks before any Pebble Blue variant, or even 32GB white models, are ready to go. There isn’t much comfort if you decide to turn elsewhere, either. With a few exceptions, third-party shops are all warning of at least slight delays for blue models that range from June 5th at Clove to a somewhat ominous-sounding “to be confirmed” at Handtec. Samsung is still quiet about what’s triggering the delays, although Negri Electronics’ founder Ryan Negri is claiming that different regions have been short-changed on different colors. 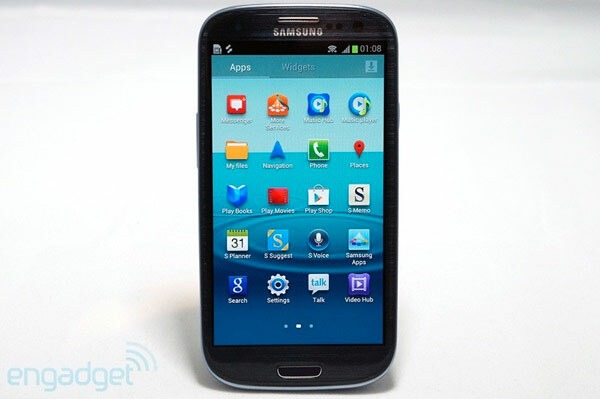 Whatever the cause, it appears as if the Galaxy S III will face a rocky launch, even though the quad-core, Android 4.0-toting beast has otherwise been getting a warm reception. Vodafone UK, retailers push back Galaxy S III in Pebble Blue by weeks, trample on dreams originally appeared on Engadget on Mon, 28 May 2012 15:05:00 EDT. Please see our terms for use of feeds. This entry was posted on May 28, 2012, 5:42 pm and is filed under Mobility. You can follow any responses to this entry through RSS 2.0. Both comments and pings are currently closed.